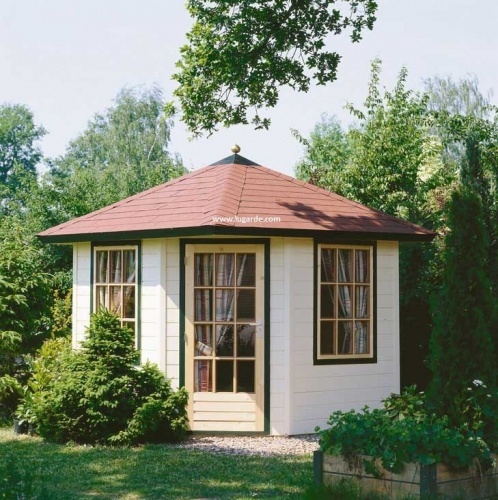 This corner summerhouse with pyramid roof can be your private, daydreaming location. Its playful design will give your garden a warm and inviting atmosphere. Crossbars in the windows and doors give this summerhouse a classic look.